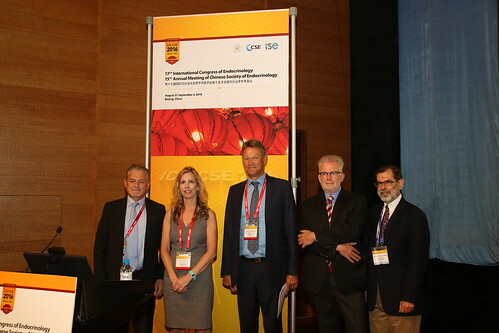 ICE/CSE 2016 hosted the first in a regular series of collaborative sessions organised by the International Society of Endocrinology (ISE), European Society of Endocrinology (ESE) and Endocrine Society (ES), featuring National, Regional and International thought leaders focusing on major global topics in endocrinology. The ISE/ES/ESE cohort aims to promote unity on prominent global endocrine issues and encourage greater research collaboration, learning opportunities and action across disciplines, sectors and countries. "You might think you know, but why do we actually have an Obesity pandemic? The 1st Joint Global Symposium on Obesity recording will be available to download soon from the Endocrine Society centre for learning.